Say Anything, Saves The Day and Reggie And The Full Effect have announced a very special fall/winter tour. Say Anything will be playing their debut full-length, Is A Real Boy…, in full to celebrate its 10th anniversary. Saves The Day will be playing Through Being Cool in full for its 15th anniversary. 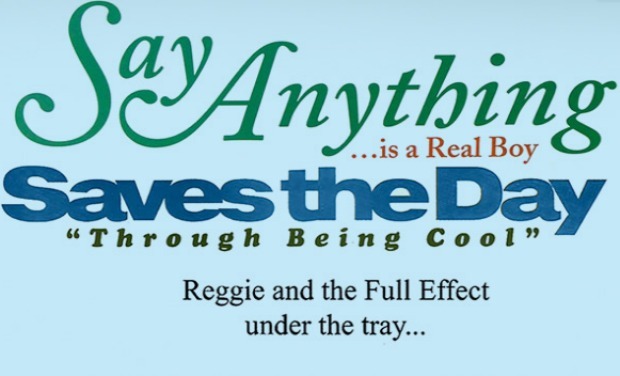 And Reggie And The Full Effect will be playing Under The Tray in full.